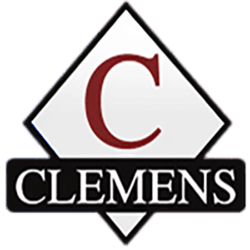 Clemens Uniforms & More can trace our roots back to 1963 when Paul Clemens started a coin operated laundry in Lansdale, Pa. With help and support from his wife Kathryn, he branched out into full service drycleaning. After opening several drycleaning operations, the decision was made to diversify into uniform rental. In 1986 Clemens Uniform was started in the rear of Clemens Cleaners on Main Street in Lansdale. Clemens Uniform Rental moved to a new facility on Fifth Street, also in Lansdale, in 1988. Linen service and direct purchase uniforms were added at this time. After four expansions at the Fifth Street location, Clemens now offers embroidery, silk screening and first aid service in addition to the excellent uniform supply service Clemens was built on. The Clemens organization credits their success to Paul and Kathryn's work ethic and dedication to their family, employees, and customers. The family is working hard today, to help make the company better than ever. Although Paul has cut back on his responsibilities, you may still see him making a special delivery to a customer. Two of their children work for the company. Janet oversees the drycleaning and financial departments. Randy Clemens is the general manager of the uniform, linen and first aid businesses. Clemens continues to look for acquisitions or alliances which will strengthen their service ability. An example is the CSC Network, which Clemens is a member. The CSC Network is the largest alliance of independent uniform and linen rental companies, which allows Clemens unequalled buying power and the ability to serve national accounts. With this and dedication of close to 100 employee associates, the future at Clemens never seemed brighter.